paper-piecing. 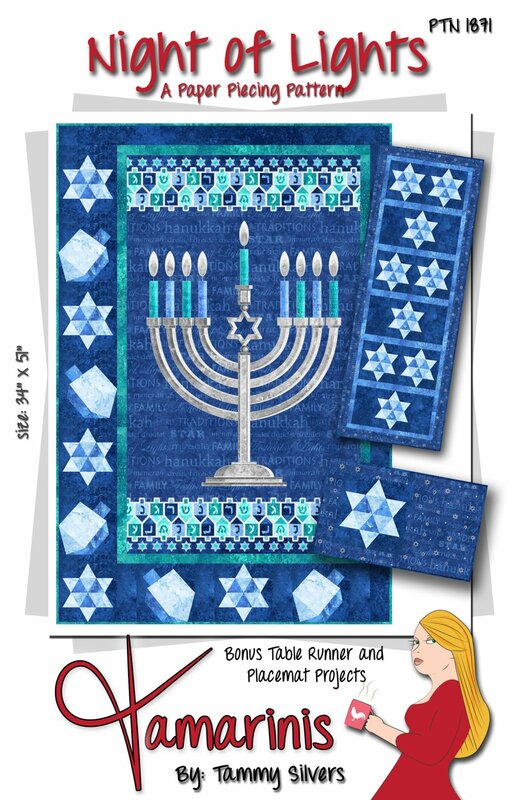 Kit includes all fabrics for the panel based wall hanging, the paper pieced table runner and placemats. The coordinated backing is also included so you can quickly complete the Night of Lights set. KITS DO NOT INCLUDE THE PATTERN.